What will your donation help us do? Donations make a real difference to our campaigning capacity: organising events with great speakers to learn from good practice abroad (for examples see our calendar), holding stalls or fringe events at party conferences, printing leaflets and reports, giving evidence at the UN… It all costs a lot of money, and makes a big difference. Your donations help us speak up and be heard. This is always the first step towards change. 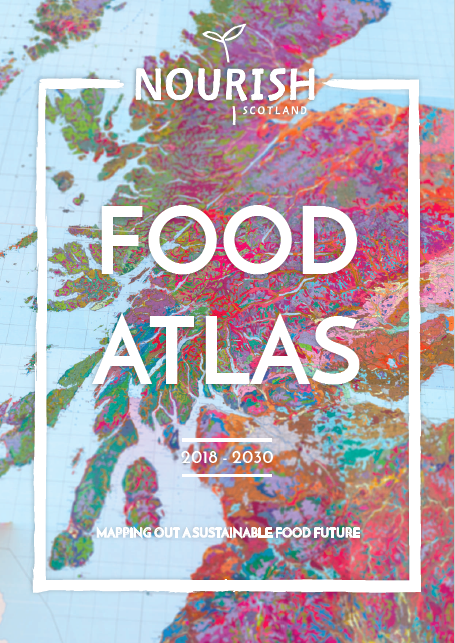 We published a unique Food Atlas in 2018, mapping out sustainable food futures for Scotland, which is sharing a positive vision for a better food system. 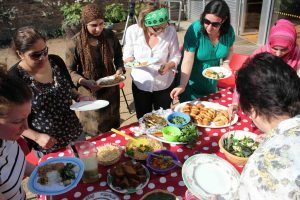 We are empowering people to take back control of the food system through our advocacy training programmes: Food Justice in 2018, Turning the Tables in 2016, and Food Leadership in 2015. Since 2015 we have supported 40+ entrepreneurs to make a living out of local food with our mentoring programme and in 2014 we coached 20+ new or aspiring farmers through our New Farmer Programme. In 2016, we gave evidence to a UN Committee in Geneva which led to the very first recommendations on the right to food addressed to the UK, and put Scotland’s soaring food poverty on an international stage. We coordinated a Scottish delegation to the 2016 European Food Sovereignty Forum – putting Scotland on a global stage and in a prime position to learn from others. 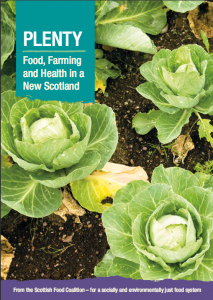 We co-authored the Scottish Food Coalition’s vision: PLENTY: Food, Farming and Health in a new Scotland. Plenty calls for a just transition to a better food system, and led to cross-party commitments to the Good Food Nation Bill.